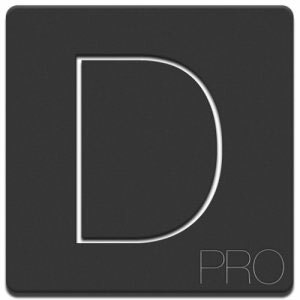 Draw(er) Pro is a sketching and drawing app with a twist. The various tools give you a new perspective on drawing, so your basic lines turn into works of art. Set colors and brush sizes, undo and redo as needed, save and share your sketches, and much more. Setting up your canvas and paint colors isn't just a matter of clicking a color picker. Choose hue, saturation, and lightness settings, just as you would in professional image manipulation software. Smooth your drawing's edges with automatic anti-aliasing, and set up your brush size before you begin your latest masterpiece. Turn simple lines into chains of circles and squares. Apply sketched effects, fur, webbing, and shading. Erase just a bit or undo a lot--and redo if you've undone too much. Color naturally, and keep your colors inside the lines, or create a rougher, realistic drawing with a happy-messy appeal. Draw(er) Pro encourages creativity with your very first doodle. You'll work towards more and more complex drawings as you discover how many different ways the tools work for you. For example, fur makes perfect fireworks, and both the web and sketch brushes fill in shapes as you draw. Sketch and draw creatively with every tool in Draw(er) Pro, then save and share your works of art for others to enjoy.